HomeI lost my job today, but I am grateful and excited! My thoughts in no particular sequence…and I have shared it with you a few times…the seed idea for a change in my life was planted way back in 1997 when i first attended your session on Problems and Situation. That was the first day I accepted that losing both my parents together eight years ago was a situation and life had to go on. There were many so called problems that I made peace with because they were situations I could not change.And so many situations that I now identified were mere problems waiting to be solved. Life was never the same again. Life just got better. For my ability to handle life changed. Thanks to that one session. Since then, your live sessions and then more recently your blog has been my friend and guide through various phases in my life. I wish you all the best for the new chapter in your being which is about to unfold. And I have a deep believe that it shall be for the good of many like me through out the world. Dhinchak !! Mush life is another name of changes and adventure. This is you from whom i have learnt 2 b positive and focus in any circumstances. All my prayers r with u and I am sure u deserve much better than this and u will achieve it. If during your struggle u ever feel down or stressed always remember ALLAH is bigger than problems we have. Welcome to another phase of life. Trust me it’s not less than one. Mush…. No kidding… u aren’t serious. are u..???? My first reaction was “Seriously!” But then I realised that Life is not a job! Life is life and we live! ETL has and will always be special to those of us who have been there for so many years. Yes, we have learnt, we have grown and now it’s time to fly beyond. Mush, you have been my guru in ETL and you continue to inspire me even today when I am following my own dream of bringing about a change in people’s life through education. I know and believe that you will always be Mush no matter where you are and what you do. You will be exceptional because that is the way you are. You will always be happy no matter what! All the very best in every thing! Go rock the world! People donot fail tehy just give up! my husband is jobless since the last 8 months and I am alone taking care of millions of day to day activities and nothing has changed me ! Drive for an excellence and a strong faith on Allah reminding me that fact that , this too shall pass! You didnt lose a job but found a new lease of life and a new beginning with abundance of opportunities that you cant imagined. This is the bad news I heard today. Still have a lot of things to learn from you, discuss with you. Many big thanks Mush for all kindness, courage and many positive things you shared and taught to us in Indonesia.. Welcome to another your luar biasa life, Mush. GOD bless you. Mush, seriously it took me awhile to accept this news….Remembering all those great stuff you did for us……. first thought is whats etl without MUSH! I never got to meet you, Mush 😦 maybe some place else we will. Good luck! For a person who is such a motivator full of enthusiasm and positivity I guess it is a new opportunity for better things 🙂 God Bless. When you lost your job, i lost my best leader, my best coach, my best trainer, and my best mentor for my job too. You are the great one. You; your talent; your focus; your dedication; your workaholism is a diamond in the company. But I know that something happened for a reason, that sometimes we can not understand now. And maybe i can not understand why too. Go Mush, go get your dream. i know you will because you teach us (team from indonesia) to be brave to chase our dreams. Mush…the only way I look at this decision and your response is that even while leaving you ended up motivating so many who were not strong enough when they lost their jobs….who could be a better motivator than this? I just want to say that I know that you are going to be successful wherever you go because we carry success with us in the form of our attitude and your attitude is your biggest strength.. But the organization has lost its best bet and the strongest pillar….and I agree with Sara…..you have to respect yourself enough to let you be truly happy and follow your dreams…a light will shine and the darker the night the brighter the light seems….wish you all the very best Mush…because you deserve nothing but the best!! God bless! cant imagine etl without you.thnx for all the learning.thnx for being a great trainer mentor and a guide..you have taught us to achieve our dreams.am sure you will achieve your dreams whereever you are.will miss you…all the best for future endeavours..
My life in ETL started from you when i met you in 2002, you are the moral of life in many ways and will always be. .ETL will never be the same without you.cannot believe this, not yet sunk into me, shocking news. There is a bigger world waiting for you, the journey of your life has bigger dreams for you,Sky is the limit for you mush, we know that you will create wonderful colours in life. We will see you in many many colours in life (not black).As you said look positive side , all your life turnings are positive. Everything happens for good mush. Whatever you do in life Mush we will be always be there with you.You will always be our BOSS and close to our heart. GOD BLESS YOU. Etl without Mush!! Unimaginable. Good for you Mush, you deserve Better. Follow your Dreams. Thank you for all your Motivation & Inspiration. Stay Blessed. Im sure you will get much better opportunity,because you can sell anything to anybody,just with your 100% great(fantastic) smile! thanks a lot! 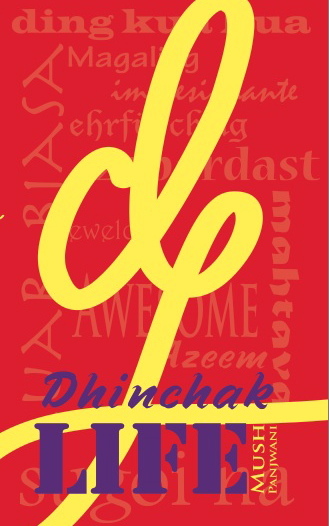 still Im not getting the book Dhinchak. Always good lucks to you! I know there must be a solid reason behind this decision but still somewhere in my heart i am not ready to accept this maybe because don’t want to loose such a wonderful leader !! You promised you will come to India 🙂 Anyway wish you All the very Best in life…just one request…Please be in touch!!! though my contribution to ETL is not big as you..but got to learnt a lot to from you about being positive always smiling… at the 1st promo as high tea with you & the workshops & CONFERENCES from ETL always it was an amazing experience to follow you as guru in this profession as wel life..& as you said success is at just around d corner.. I M SURE YOUR ALL THE KNOWLEDGE SKILLS & VALUES WILL TAKE YOU AT A NEW SUMMIT…V. SOON! as you say have gratitude when you wakeup & oh stil breathing! or having water in tap.. those small but simple mantra really helped to see life in diff. context! i do remember your dive while retuning from phi-phi was so courageous…& u enjoyed tht unknown ocean… &d same way from this new unexpected dive too you will bring success in LIFE! a. all you only say LIFE IS DHINCHAK! lots of BEST WISHES.. I often wondered how could such a free spirited person be confined to a particular designation, a particular role, a job?! Believe you me this is the dilemma of so many who can do so much more outside of the confines of a cubicle… Perhaps, its time to remind you of some jobs / designations that you can never lose – you are a published author / blogger / writer, you are a motivational speaker / guide / mentor, you are a solution finder / networking professional / organiser, you are also (i am sure Sara will agree) a parenting expert / educationist / innovator. Wishing you good luck, wisdom and a larger canvas! s constant in this world. Wish you good luck. Hi Mush…sorry about that! How can they do that? God bless you…all the best! Salam, person like u lived at office with a family envoirnment, i beleive. Only this chain will lost. You are much energetic mush. In persian they say, hur che baad i baad. Means face everything boldly. I dont feel sorry for u, I feel sorry for them who did so .But be sure that Allah wishes what happened and it hides better for u.Our life is full of stops and ur life is full of amazing things to go through.You dont need such words cause if they could stop ur job, they can never stop ur smile an hope.My regards for u n ur nice family. Thank you for such kind, nice, wonderful, amazing, surprising messages! I am deeply touched by your love. And also under a lot of pressure to do something big 🙂 I have no issues with the company, and do not wish to hear anything negative. Its so sad to think we cant see you again during trainings and affairs of our company.Your great contribution is priceless.you have given us the courage and the skills to be brought in reality.I will not forget you.more power as you go along your way! A person like you will go some where, any where, even when you lost your job, in life. Who knows, it could be the start of something new. Nice meeting you and hope to see you in the near future. I very confused to hear this bad news…we are lost direct sales expert. I have a lot of thing to learn from you. Thank you very very much for your best support and good luck and all the best for you. Mush, It is a shocking news for me and it took me sometime to recover but no one can deny reality. It can happen with anybody anytime but I am sure you will get a better chance to fulfill your dreams. I cannot visualise Time Life/ETL without Mush, you are always a source of inspiration for me. Working with you was always a fun for me, I cannot forget the time we have spent together in UES (golden memories). I have never like/share anything you have posted on facebook but now I cannot stop myself in sharing my feelings with you. Hope to see you soon and thanks for your kind support to me & TFR. I read some where, every one will be in either of these three situations, got out of difficult situation, in the difficult situation or some day going to get into difficult situation. You are in the second kind. I have personally meet you @ Bangalore, I understood what passion is from you, the kind of energy you put into your sales trainings. Looking at your blogs and physical disciplines you have, you can manage yourself and a big team. You are one of my hero. I strongly feel now you have freedom to do something BIG. Most importantly you can help 1000’s of people to grow & become. I feel what happened to you is best thing that could have happened to you. Jump even higher and show your brightness like a SUN. ALL THE BEST Mush:). Honestly I am very Shock.. I am still dont believe that.. Because ETL is your blood.. But I believe maybe this is Your Best Way for More Success in Your Career and Life ..
For Me.. You are is My teacher and my Master.. I am learn so much from you.. Thank You Very Much Mush..
You have been my role model from the time I attended your workshop in july 1997 along with my wife Shalini. After the session it boosted my confidence with the co. product & career. I never looked back till now. Had wonderful time with you. Thank you somuch for being my friend, philosopher & guide. I know we have great product to sell, great co. & people to work with for our future. Wish you all the best in your future life & career. What happened, happening & will happen are good. Enjoy your life. News was shocking but u r unbelievable,Mush i still believe there are so many opportunities n achievements r waiting for u n says”Mush come n get me ” n im 100% sure all these ll b yours. Thanks for everything which i learned from u . When I read this today, my thoughts were: “Is this the title of a new book or an article you’re going to publish and we get a peek preview into it?….” and so on. Never mind what I thought. Congratulations on firing your boss Mush, you did not lose your job today but you fired your boss. Correct me if I am wrong. Here is wishing you the Bestest life has to offer, wishing you the best in what you have to offer Life. dear Mush, it’s a sad news for me. i have known you for more than10 years. you teach me, encourage me, and you give me motivation in this job. i do believe the best is yet to come. God already plan a bigger and brighter future for you. i will miss you. Keep in touch always. many new things that I get from you , the spirit , always think positive , never give up, and always SYUKUR. so glad to have known you as a friend , motivator , leader . Hopefully happy in the new job and new challenges as well . Wish you all the very best for your future endeavours. Every thing is temporally happen to our life but the class is always permanent, their are so many things we learn from you mush and we share our experience together.You make us motivated and inspired,how to be improve our skills and success in our field. What a small world we all lived in.One day we will meet up and share our experience. Mush, it was hard to believe on your post that you have lost the job. And my mind was reading it like…IF…i lost my job today…!! I was pushing myself to accept that it was just a thought how to stay positive and ignore your negative concern in such situation. Where ETL will stand w/o YOU is a big question mark! you have done so much for us as well..you will surely get reward in a better opportunity which is waiting for you. I wish you all the best in all the times to come and you are shining star, keep shining! “THE SAME WIND BLOWS ON US ALL! -the Wind of disaster, wind of opportunity, wind change, favorable and unfavorable wind, economic wind, social wind, political wind… The same wind blows on the everybody!!! The difference on ARRIVAL is not the blowin of the wind, it’s the SET of the SAIL!!! You’re blessed to be equiped with much skills to set a better sail, that’s your edge! Thank you for inspiring us all! Hi Mush, Just wanted to say that you are far too talented and skilfull to be kept down for long. I know for a fact that one day you will look back at that fateful day and realise that it was divine intervention as you are destined for far greater things than what you were currently doing. That day would actually go down as the best day in your life because it will actually open new doors for your evolvement. May I place on record myself and Renay’s thanks for your support for the past few years. I hope that what we have is more than a working relationship and that I would continue to be your friend on Facebook and your blogs. You are destined for great things.This is just the beginning of a whole new, celestial life. And remember, jobs come and go but your family, friends and the people who look up to you as a mentor will be with you forever. You do not lose anything. You will get the treasures and wonders of life on next step. 11 years we have worked together. And we will still be friends forever! Having worked under your supervision had been one of the most challenging yet wonderful days I’d ever had. Doubtlessly, as I agree with most of your friends below, a much brighter future is waiting ahead for you! Let more people be inspired by you! Maybe i’m yo ur Fresh graduated student in ETL.. Many many things i’ve Learnt From You..
GREAT Future with ur new job.. I would like to start my message with the song “At the end of the Rainbow there’s a pot of Gold”. For me “MUSH” is ETL! No Replacement at all! Your “presence” change the atmosphere! What does that mean?You are a World Changer!.God Bless you even more!! Mush! I am sad..:( but only you can be positive in this situation. I have yet to learn sooo much from you..:) Here in my community, people are soo spiritually inclined..each one is looking for truth/ answers/ meaning of life…but I never felt like going in these sessions, not because I am not that “old” but because I have already learnt to be postive in difficult situations from you..i have learnt how to percieve each situation in a positive way from you. It has made a lot of difference in my life and most of all it has changed my attitude. When people compliment me on how well i deal with all relationships…I tell them about you! I wish you the very best in life and if there is anything I can do, please let me know. I never saw such a positive mind set personality in my life. You are an inspiration to all.